That’s right, Of The Hands has returned from its (my) self-imposed hiatus. The farming season has wound down, the CSA is finished, the cold and rain have set in and winter looms large. I suddenly have a whole lot of free time and plan to use it to get back into the writing. I also have been using it to get back into the cooking (not that it ever really stopped.) Last night, I made a lamb stew and tonight I dived into some good, old-fashioned pizza making. Tomorrow I’ll have a real post for you. Tonight, you’ll have to do with some dinner pictures. 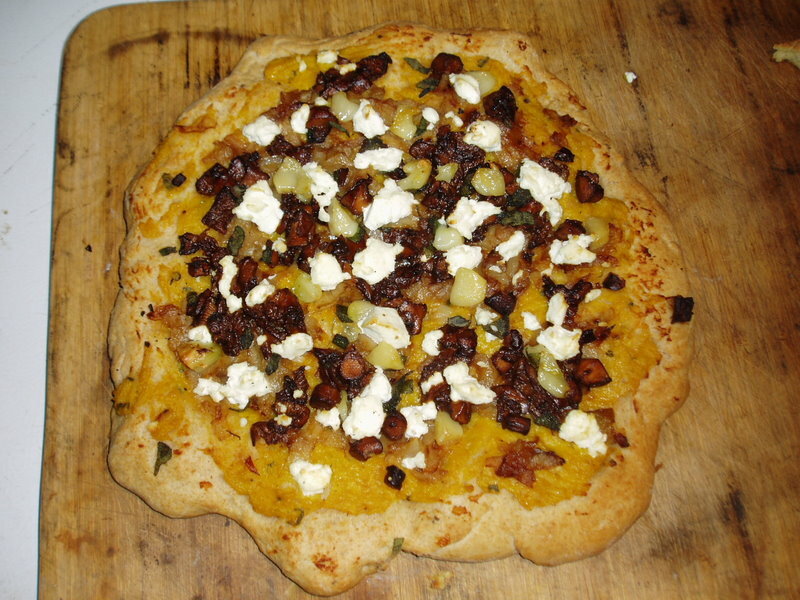 Winter squash sauce with caramelized onions, chanterelles, roasted garlic, goat cheese and sage. 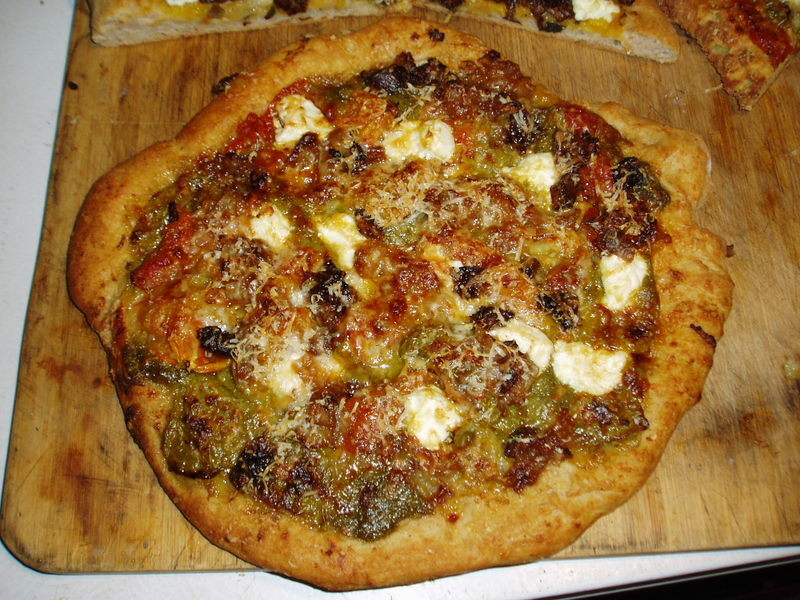 Roasted tomatoes, pesto, some stray caramelized onions and chanterelles, goat cheese, parmesan and romano.